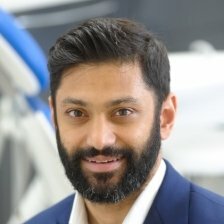 Dr Sam Shah is a clinician and Director for Digital Development for NHS England. He has a background in primary healthcare, public health, research and supporting the digital transformation of the NHS. Sam leads on programmes designed to support citizens accessing health services, development of technology that enables integration and digitisation of urgent and emergency care. He strongly believes the introduction of technology, that leverages the power of insight through data, can improve efficiency, system capacity and clinical effectiveness. Sam and his team work with a number of industry partners, research units and SMEs on digital developments in the NHS. Sam has previously held roles as the clinical lead and commissioner for urgent care in London as well as overseeing the development of NHS 111 Online in England.